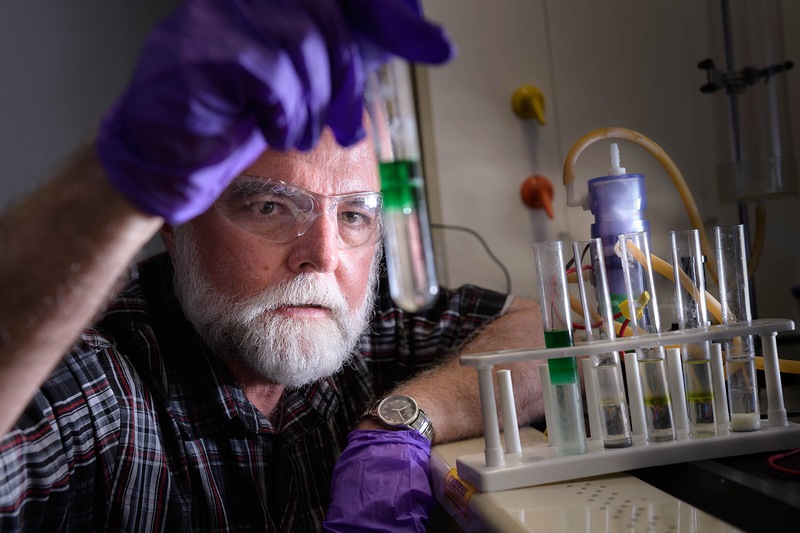 Purdue researchers have developed a flow battery that would allow electric cars to be recharged instantly at stations like conventional cars are. The technology is clean, safe, and cheap. This breakthrough would not only speed the switch to electric vehicles by making them more convenient to drive, but also reduce the amount of new supportive infrastructure needed for electric cars dramatically. Purdue University professors John Cushman and Eric Nauman teamed up with doctoral student Mike Mueterthies to co-found Ifbattery LLC (IF-battery) for commercializing and developing the technology. The new model is a flow battery, which does not require an electric charging station to be recharged. Instead, all the users have to do is replace the battery’s fluid electrolytes — rather like filling up a tank. This battery’s fluids from used batteries, all clean, inexpensive, and safe, could be collected and recharged at any solar, wind, or hydroelectric plant. Electric cars using this technology would arrive at the refueling station, deposit spent fluids for recharging, and “fill up” like a traditional car might. This flow battery system is unique because, unlike other versions of the flow battery, this one lacks the membranes which are both costly and vulnerable to fouling. When can we expect to see these batteries in use? The biggest hurdle isn’t the materials, which are cheap and plentiful, but person power. The researchers still need more financing to complete research and development to put the batteries into mass production. To overcome this problem, they’re working to publicize the innovation in the hopes of drawing interest from investors. A new material has been shown to have the capability to double the efficiency of solar cells by researchers at Purdue University and the National Renewable Energy Laboratory. Conventional solar cells are at most one-third efficient, a limit known to scientists as the Shockley-Queisser Limit. The new material, a crystalline structure that contains both inorganic materials (iodine and lead) and an organic material (methyl-ammonium), boosts the efficiency so that it can carry two-thirds of the energy from light without losing as much energy to heat. In less technical terms, this material could double the amount of electricity produced without a significant cost increase. Enough solar energy reaches the earth to supply all of the planet’s energy needs multiple times over, but capturing that energy has been difficult – as of 2013, only about 1 percent of the world’s grid electricity was produced from solar panels. Libai Huang, assistant professor of chemistry at Purdue, says the new material, called a hybrid perovskites, would create solar cells thinner than conventional silicon solar cells, and is also flexible, cheap and easy to make. “My graduate students learn how to make it in a few days,” she says. The breakthrough is published this week in the journal Science (“Long-range hot-carrier transport in hybrid perovskites visualized by ultrafast microscopy”). The most common solar cells use silicon as a semiconductor, which can transmit only one-third of the energy because of the band gap, which is the amount of energy needed to boost an electron from a bound state to a conducting state, in which the electrons are able to move, creating electricity. Incoming photons can have more energy than the band gap, and for a very short time – so short it’s difficult to imagine – the electrons exist with extra energy. These electrons are called “hot carriers,” and in silicon they exist for only one picosecond (which is 10-12 seconds) and only travel a maximum distance of 10 nanometers. At this point the hot carrier electrons give up their energy as heat. This is one of the main reasons for the inefficiency of solar cells. Huang and her colleagues have developed a new technique that can track the range of the motion and the speed of the hot carriers by using fast lasers and microscopes. Kai Zhu, senior scientist at the National Renewable Energy Laboratory in Golden, Colorado, and one of the journal paper’s co-authors, says that these are critical factors for creating a commercial hot-carrier solar cell. However, before a commercial product is developed, researchers are trying to use the same techniques developed at Purdue by replacing lead in the material with other, less toxic, metals. A system that uses a laser and electrical current to precisely position and align carbon nanotubes represents a potential new tool for creating electronic devices out of the tiny fibers. Because carbon nanotubes have unique thermal and electrical properties, they may have future applications in electronic cooling and as devices in microchips, sensors and circuits. Being able to orient the carbon nanotubes in the same direction and precisely position them could allow these nanostructures to be used in such applications. 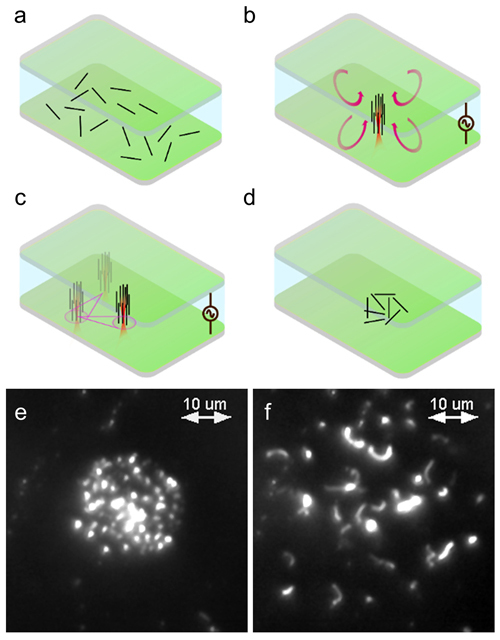 However, it is difficult to manipulate something so small that thousands of them would fit within the diameter of a single strand of hair, said Steven T. Wereley, a professor of mechanical engineering at Purdue University. “One of the things we can do with this technique is assemble carbon nanotubes, put them where we want and make them into complicated structures,” he said. New findings from research led by Purdue doctoral student Avanish Mishra are detailed in a paper that has appeared online March 24 in the journal Microsystems and Nanoengineering (“Dynamic optoelectric trapping and deposition of multiwalled carbon nanotubes”). 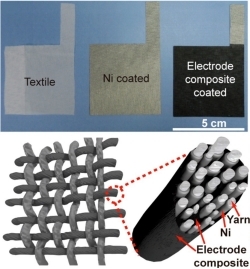 The technique, called rapid electrokinetic patterning (REP), uses two parallel electrodes made of indium tin oxide, a transparent and electrically conductive material. The nanotubes are arranged randomly while suspended in deionized water. Applying an electric field causes them to orient vertically. Then an infrared laser heats the fluid, producing a doughnut-shaped vortex of circulating liquid between the two electrodes. This vortex enables the researchers to move the nanotubes and reposition them. “When we apply the electric field, they are immediately oriented vertically, and then when we apply the laser, it starts a vortex, that sweeps them into little nanotube forests,” Wereley said. The research paper was authored by Mishra; Purdue graduate student Katherine Clayton; University of Louisville student Vanessa Velasco; Stuart J. Williams, an assistant professor of mechanical engineering at the University of Louisville and director of the Integrated Microfluidic Systems Laboratory; and Wereley. Williams is a former doctoral student at Purdue. The technique overcomes limitations of other methods for manipulating particles measured on the scale of nanometers, or billionths of a meter. In this study, the procedure was used for multiwalled carbon nanotubes, which are rolled-up ultrathin sheets of carbon called graphene. 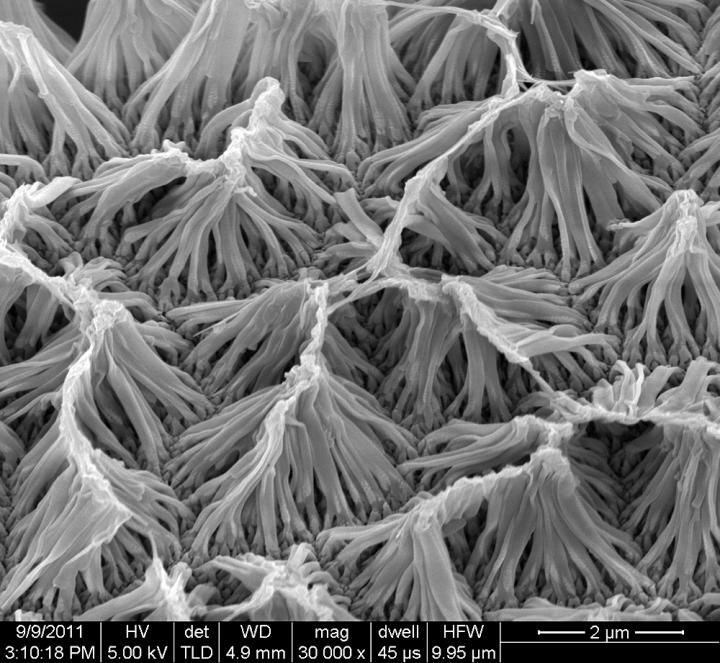 However, according to the researchers, using this technique other nanoparticles such as nanowires and nanorods can be similarly positioned and fixed in vertical orientation. The researchers have received a U.S. patent on the system. The experimental work was performed at the Birck Nanotechnology Center in Purdue’s Discovery Park. Future research will explore using the technique to create devices. A team of researchers has created a new implantable drug-delivery system using nanowires that can be wirelessly controlled. The nanowires respond to an electromagnetic field generated by a separate device, which can be used to control the release of a preloaded drug. The system eliminates tubes and wires required by other implantable devices that can lead to infection and other complications, said team leader Richard Borgens, Purdue University’s Mari Hulman George Professor of Applied Neuroscience and director of Purdue’s Center for Paralysis Research. The team tested the drug-delivery system in mice with compression injuries to their spinal cords and administered the corticosteroid dexamethasone. The study measured a molecular marker of inflammation and scar formation in the central nervous system and found that it was reduced after one week of treatment. A paper detailing the results will be published in an upcoming issue of the Journal of Controlled Release and is currently available online. This study builds on previous work by Borgens and Gao. Gao first had to figure out how to grow polypyrrole in a long vertical architecture, which allows it to hold larger amounts of a drug and extends the potential treatment period. The team then demonstrated it could be manipulated to release dexamethasone on demand. A paper detailing the work, titled “Action at a Distance: Functional Drug Delivery Using Electromagnetic-Field-Responsive Polypyrrole Nanowires,” was published in the journal Langmuir. The above post is reprinted from materials provided by Purdue University. The original item was written by Elizabeth K. Gardner. Note: Materials may be edited for content and length. New research shows how inkjet-printing technology can be used to mass-produce electronic circuits made of liquid-metal alloys for “soft robots” and flexible electronics. Elastic technologies could make possible a new class of pliable robots and stretchable garments that people might wear to interact with computers or for therapeutic purposes. However, new manufacturing techniques must be developed before soft machines become commercially feasible, said Rebecca Kramer, an assistant professor of mechanical engineering at Purdue University. A new potential manufacturing approach focuses on harnessing inkjet printing to create devices made of liquid alloys. 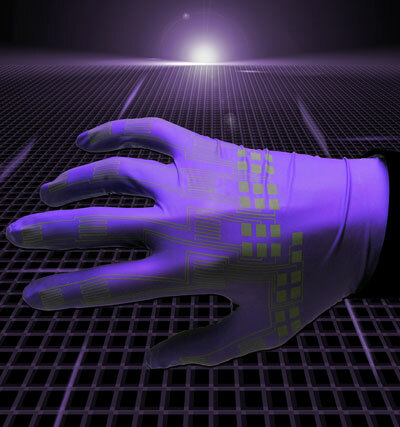 “This process now allows us to print flexible and stretchable conductors onto anything, including elastic materials and fabrics,” Kramer said. A research paper about the method will appear on April 18 in the journal Advanced Materials (“Mechanically Sintered Gallium–Indium Nanoparticles”). The paper generally introduces the method, called mechanically sintered gallium-indium nanoparticles, and describes research leading up to the project. It was authored by postdoctoral researcher John William Boley, graduate student Edward L. White and Kramer. A printable ink is made by dispersing the liquid metal in a non-metallic solvent using ultrasound, which breaks up the bulk liquid metal into nanoparticles. This nanoparticle-filled ink is compatible with inkjet printing. After printing, the nanoparticles must be rejoined by applying light pressure, which renders the material conductive. This step is necessary because the liquid-metal nanoparticles are initially coated with oxidized gallium, which acts as a skin that prevents electrical conductivity. The approach makes it possible to select which portions to activate depending on particular designs, suggesting that a blank film might be manufactured for a multitude of potential applications. “We selectively activate what electronics we want to turn on by applying pressure to just those areas,” said Kramer, who this year was awarded an Early Career Development award from the National Science Foundation, which supports research to determine how to best develop the liquid-metal ink. The process could make it possible to rapidly mass-produce large quantities of the film. Future research will explore how the interaction between the ink and the surface being printed on might be conducive to the production of specific types of devices. “For example, how do the nanoparticles orient themselves on hydrophobic versus hydrophilic surfaces? How can we formulate the ink and exploit its interaction with a surface to enable self-assembly of the particles?” she said. The researchers also will study and model how individual particles rupture when pressure is applied, providing information that could allow the manufacture of ultrathin traces and new types of sensors. Batteries have two electrodes, called an anode and a cathode. The anodes in most of today’s lithium-ion batteries are made of graphite. The researchers have performed experiments with a “porous interconnected” tin-oxide based anode, which has nearly twice the theoretical charging capacity of graphite. The researchers demonstrated that the experimental anode can be charged in 30 minutes and still have a capacity of 430 milliamp hours per gram (mAh g−1), which is greater than the theoretical maximum capacity for graphite when charged slowly over 10 hours. 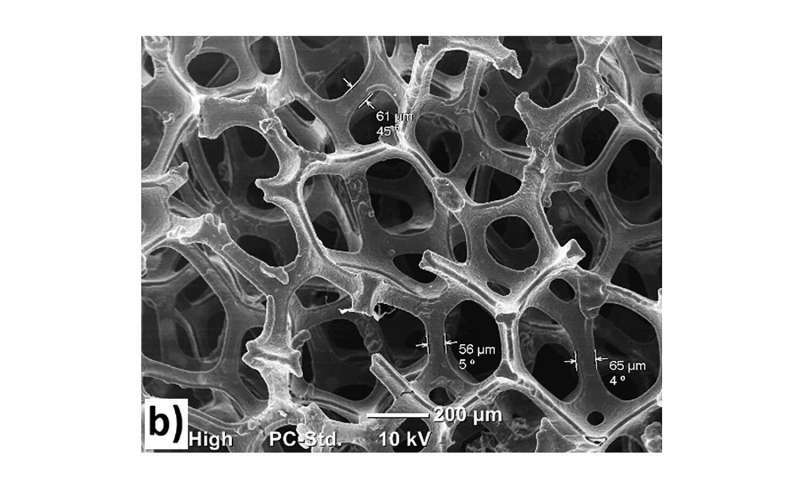 The anode consists of an “ordered network” of interconnected tin oxide nanoparticles that would be practical for commercial manufacture because they are synthesized by adding the tin alkoxide precursor into boiling water followed by heat treatment, Pol said. When tin oxide nanoparticles are heated at 400 degrees Celsius they “self-assemble” into a network containing pores that allow the material to expand and contract, or breathe, during the charge-discharge battery cycle. The research paper was authored by Etacheri; Swedish University of Agricultural Sciences researchers Gulaim A. Seisenbaeva, Geoffrey Daniel and Vadim G. Kessler; James Caruthers, Purdue’s Gerald and Sarah Skidmore Professor of Chemical Engineering; Jeàn-Marie Nedelec, a researcher from Clermont Université in France; and Pol. Electron microscopy studies were performed at the Birck Nanotechnology Center in Purdue’s Discovery Park. Future research will include work to test the battery’s s ability to operate over many charge-discharge cycles in fully functioning batteries. WEST LAFAYETTE, Ind. – Purdue University’s College of Engineering has named four pre-eminent teams to focus on research ranging from drug delivery to nanomanufacturing. It is the second annual competition, which brings the total number of teams to eight. The teams are building on strengths that are already part of the college. To become pre-eminent teams, they went through a process similar to a pitch entrepreneurs would give to venture capitalists. This year 27 teams, comprising more than 150 faculty members, participated in the competition. “The panelists were unanimous in their compliments to all of the teams for the evidence of strength, teamwork, and the impressive array of ideas,” Jamieson said. The strategic growth plan is part of Purdue Moves, a range of initiatives designed to broaden Purdue’s global impact and enhance educational opportunities for its students. * A research center for the manufacture of particulate products including foods and feed, consumer goods, specialty chemicals, agricultural chemicals, pharmaceuticals and energetic materials. The team is led by Jim Litster, a Professor of Chemical Engineering and Industrial and Physical Pharmacy. The work will focus on a model-based process design to produce engineered particles and structured particulate products, develop the understanding of process-structure-function relationships for these products, and build capacity through a highly qualified workforce in particulate science and engineering. The research could impact applications in areas including drug delivery and agriculture. Particle products contribute more than $1 trillion to the U.S. economy annually, and a number of companies are headquartered in the Midwest. * Nanomanufacturing research aimed at creating “aware-responsive” films with applications in pharmacy, agriculture, food packaging, and functional non-woven materials for uses including wound dressings and diapers. The team is led by Ali Shakouri, a professor of electrical and computer engineering and the Mary Jo and Robert L. Kirk Director of the Birck Nanotechnology Center. Nanomanufacturing can bring advances such as: smart pharmaceuticals that release medications differently for specific patients; food packaging that contains sensors to monitor food quality; and cheap sensors for health monitoring. 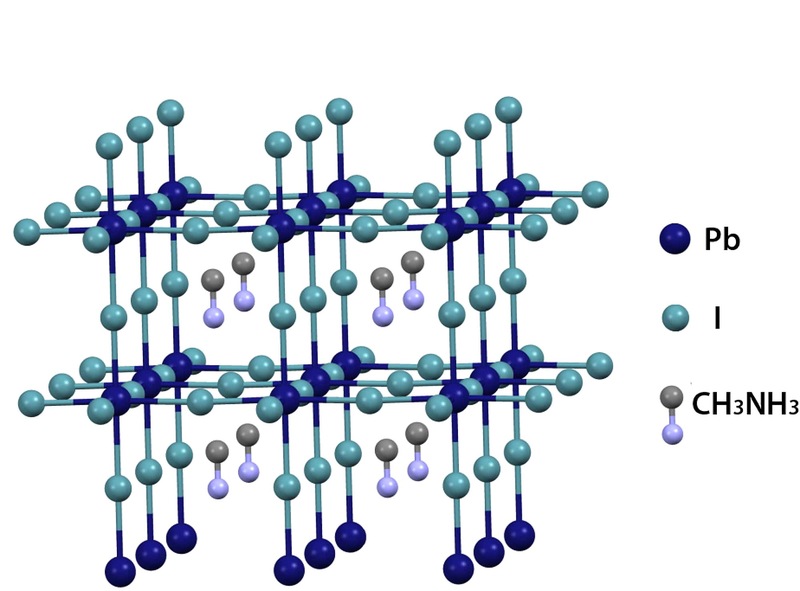 * Research into development of new types of computer memory and electronic devices based on “spintronics.” The team is led by Supriyo Datta, the Thomas Duncan Distinguished Professor of Electrical and Computer Engineering. In 2006, the semiconductor industry and the National Science Foundation launched the Nanoelectronics Research Initiative (NRI) to look for “the next transistor.” Purdue researchers led by the Network for Computational Nanotechnology and the Birck Nanotechnology Center have been a visible and active part of the NRI since its inception. Conventional computers use the presence and absence of an electric charge to represent ones and zeroes in a binary code needed to carry out computations. Spintronics, however, uses the “spin state” of electrons to represent ones and zeros. Purdue could play a leading role in this new field emerging from the confluence of spintronics and nanomagnetics. * Extreme density, low-temperature plasmas for electronics, aerospace, food science and biotechnology applications. The team is led by Sergey Macheret, a professor of aeronautics and astronautics. Low-temperature plasmas (LTP) are weakly ionized gases that are being extensively used in fluorescent lights and in microchip fabrication. New ways of generating and controlling LTP could lead to new applications ranging from medicine and food processing to enhancing aerodynamics and propulsion performance of existing and future airplanes. The ability of plasmas to interact with electromagnetic waves, combined with controllability and “tunability” of plasma characteristics, could enable novel radio-frequency devices. Researchers at Nano-Meta Technologies Inc. (NMTI) in the Purdue Research Park have shown how to overcome key limitations of a material that could enable the magnetic storage industry to achieve data-recording densities far beyond today’s computers. The new technology could make it possible to record data on an unprecedented small scale using tiny “nanoantennas” and to increase the amount of data that can be stored on a standard magnetic disk by 10 to 100 times. The storage industry’s technology strategy, called heat-assisted magnetic recording (HAMR), hinges on the design of the nanoantenna, or near-field transducer (NFT), said Urcan Guler, chief scientist at Nano-Meta Technologies. HAMR harnesses “plasmonics,” a technology that uses clouds of electrons called surface plasmons to manipulate and control light. However, some of the plasmonic NFTs under development rely on the use of metals such as gold and silver, which are not mechanically robust and present a challenge in fabrication and long-term reliability of the HAMR recording head. Researchers from Nano-Meta Technologies and Purdue Univ. are working to replace gold with titanium nitride. The material offers high strength and durability at high temperatures, and its use as a nanoantenna paves the way for next-generation recording systems, said Vladimir M. Shalaev, scientific director of nanophotonics at Purdue’s Birck Nanotechnology Center and a distinguished professor of electrical and computer engineering. A team from Nano-Meta Technologies and Purdue has authored an article on the need to develop new materials as alternatives to gold and silver for various plasmonic applications, using HAMR as an example. The article was published online in Faraday Discussions. The technology could make it possible to circumvent the disk-storage-capacity limits imposed by conventional magnetic recording materials.Normally, lenses cannot focus light smaller than the wavelength of the light itself, which is hundreds of nanometers across. However, nanoantennas allow light to be focused into spots far smaller than the wavelength of light, making it possible to increase the storage capacity of the medium. Industry has been reluctant to adopt titanium nitride for potential new plasmonic applications because making nanoantennas out of conventional titanium nitride leads to excessive “self-heating” through absorption of the input laser light, hindering performance. Common titanium nitride also undergoes oxidation reactions at high temperatures that degrade its optical properties, said Ernesto Marinero, a professor in Purdue’s School of Materials Engineering who is an expert in magnetic recording and joined the university after a long career in the storage industry. To address both problems, the researchers have modified titanium nitride to significantly reduce its intrinsic light absorption, thereby paving the pathway to overcome the self-heating roadblock. Furthermore, the researchers also have solved the oxidation problem by protecting the material with an ultrathin coating that prevents oxidation without affecting the material’s optical properties. HAMR uses a laser to illuminate a nanoantenna, a tiny structure with the ideal shape and size for “optimum light coupling” to produce the required spot size onto the recording medium. The antenna couples electromagnetic energy into a small spot, creating heat that allows a magnetic head to write the ones and zeroes required for data storage onto a spinning disk. HAMR allows the use of recording materials with superior magnetic properties to guarantee the stability of the nanoscale ones and zeroes of future computer drives.